Hey, where do musicians play before showing up at the SXSW festival? 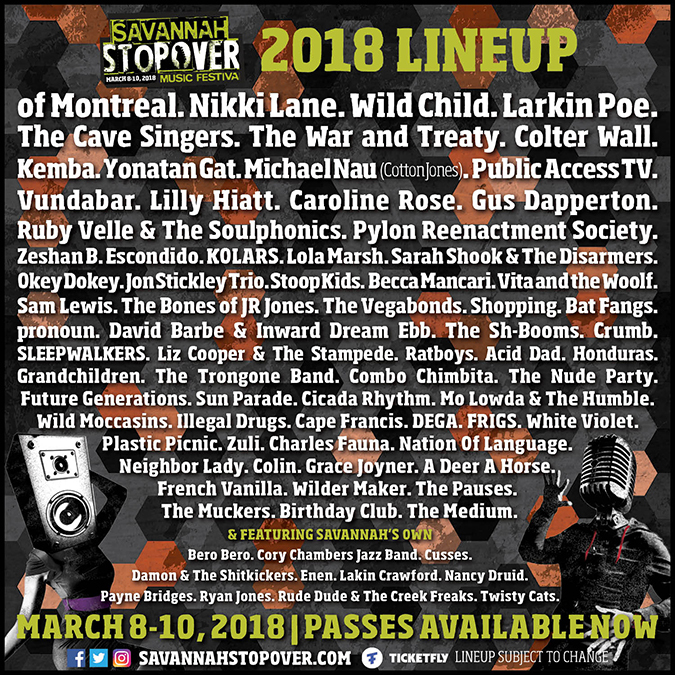 Those driving through Georgia — or seeking some Southern hospitality — swing by the Savannah Stopover Music Festival. The annual event takes place over three days throughout Savannah’s lovely Historic District — and the best part is that scores of acts have been confirmed, with passes still available. Yonatan Gat – New York, NY; Zeshan B – Chicago, IL; Zuli – NY, NY.